I will always love you, Bob. You so enriched my life and I’m so thankful to have had you love me. Kathy and John Sheppard were very happily married for 33 years. On November 8th, 2009, her big brother Chris called to tell her that he had been diagnosed with ALS more commonly known as Lou Gehrig’s disease. On November 9th, Kathy and John celebrated John’s 56th birthday. Four days later she received the phone call that her husband had died suddenly of a massive heart attack. Her life was spinning out of control and she had no idea how she was going to do something that she had never done before – take care of herself all by herself. As far as finances were concerned, Kathy knew only that John had “flippantly told me that I would be better off with him dead”. She had never been on a budget in her life. The only budget she had ever known was for her husband to tell her not to spend any more money that month. Even though her brother and her financial planner both assured her that money-wise she should feel secure, she struggled constantly with believing them. All those “what if” questions were scary and unsettling. Her brother Chris wrote Kathy a letter shortly after her husband John’s death telling her among other things that he would continue to support and cheer her on, hopefully for more than 2 years. Her anticipatory grief on top of the grief of losing her husband was very, very difficult because her dependence on John had transferred to her dependence on her big brother. Kathy talks about how she learned that “my” friends became different than “our” friends and how it took her awhile to realize that she couldn’t control what people say about her, but she can control what they say TO her. She shares that it was a hard lesson to learn and continues to impact her life. Statement: He is in a better place. Heart Answer: Well, I thought John was happy here. I thought we had a good marriage, and I thought he was enjoying life. John told me he was happy, that he was looking forward to retiring and traveling, and that he wanted to spend more time with me. He promised me that we would grow old together. And he was really looking forward to being a grandpa someday. A better place? Statement: Let me know if you need anything. Heart Answer: How do I know what I need? I am on a journey that I didn’t plan or pack for. Do you have any idea how much effort it takes ME to pick up the phone and actually call? You tell me what you want to do and then do it. Three deaths in one year – her husband, her mother, and her big brother Chris. I understand the grief that this author feels because I lost my husband, my mother, and my father all in 4 months time. But what makes Kathy’s story important to me is that she made it through her grief and was able to come out the other side with joy. It gives me hope that I, too, can make it. I thank you again, Kathy, for letting us know that we aren’t losing our minds in the midst of grief. Tears and laughter are not that different when you think about it. Both are a way of letting something out. Yesterday I sat with a new widow who had just been told that her mother has congestive heart failure. The doctor said that there is nothing they can do for her but to make her comfortable. Both of my parents had congestive heart failure and the memories of those last days of their lives are still very fresh for me. It was easy for me to cry with my friend as I relived my own sadness knowing what may be ahead for her. We talked about how very hard it is for us as widows having to go through life’s hard things without our husbands here to share our grief and to take us in their arms and tell us that everything is going to be ok. Yet, somehow in the midst of our tears, we were able to laugh some as well as my friend said, “We’re a mess, aren’t we.” Yes, we are both a mess right now. We can cry at the drop of a hat and then we can find something funny to laugh about. Our emotions run from a very low place and then can go to a high place for a few moments. There doesn’t seem to be too much middle ground for us in our grief journeys. Someone on the outside looking in would probably think we were both crazy and I can tell you that at times it certainly does feel that way to us. One person wrote that “Laughter is a way of lifting that heavy burden of loss and all facets of grief if only for a few minutes. It is a wonderful respite.” The healing benefits encompass body, mind, and spirit and help to ease the pain. The book of Proverbs says, “Laughter does good like a medicine.” It is a natural antidote. IT’S OKAY TO GRIEVE: The death of a loved one is a reluctant and drastic amputation without any anesthesia. The pain cannot be described and no scale can measure the loss. We despise the truth that the death cannot be reversed and that somehow our dear one returned. Such hurt! It’s okay to grieve. IT’S OKAY TO CRY: Tears release the flood of sorrow of missing and of love. Tears relieve the brute force of hurting, enabling us to “level off” and continue our cruise along the stream of life. It’s okay to cry. IT’S OKAY TO HEAL: We do not need to “prove” we loved him or her. As the months (or years) pass, we are slowly able to move around with less outward grieving each day. We need not feel “guilty”, for this is not an indication that we love less. It means that, although we don’t like it, we are learning to accept death. It’s a healthy sign of healing. It’s okay to heal. IT’S OKAY TO LAUGH: Laughter is not a sign of “less” grief. Laughter is not a sign of “less” love. It’s a sign that many of our thoughts and memories are happy ones. It’s a sign that we know our memories are happy ones. It’s a sign that we know our dear one would have us laugh again. It’s okay to laugh. One of the most surprising and scariest emotions I am experiencing since my husband died is anger. I have never been an angry person. If someone made me angry, I would go over in my mind what I would like to say to them and how I would handle that particular situation and then I would stuff all the things that I was feeling. I was never allowing myself to be angry or be honest about my emotions because I didn’t want to ever show my true feelings and possibly hurt someone else with the expression of my words. This has gone on for over 50 years, but death and grief has opened up the lid to my Pandora’s box and now I am having to deal with everything that’s been hidden inside for so long. 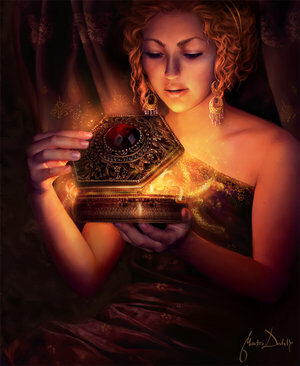 As each issue comes out of that box, I have the choice to push it back down into it’s old hiding place or face it. May I say that I never knew I had so much “junk in my trunk”. I always wanted everyone to look at me and think that I had it all together and was always the one making all the right choices. But, it’s very obvious to me now that suppressing so many things for so long was the wrong choice. Yes, there are times to say something to someone and there are times to be quiet, but my challenge now is to figure out when it is healthy for me to speak up and when I do, how do I voice what I am feeling in a healthy way. I am a person who runs from confrontation and avoids it at all costs. After I married Bob, he stood in the gap for me and took care of the hard things. But, he’s gone now and I have to “grow a backbone” and take care of myself. One thing I do know for sure is that I can vent all my anger at God whenever I want to. After all, He knows my heart and exactly what I am feeling. He won’t get mad at me for telling Him the truth. He will never turn His back on me for being honest. He made me to feel things as deeply as I do. He knows that I want to please Him and do what’s right. God, help me to know how to handle the emotions of anger that I am finally allowing myself to feel and help me to know what to do with them. When the time comes that I feel I must speak up and confront someone who has made me angry, help me to know what to say and how to say it. Help me to not only be honest with You, but to learn how to be honest with others when I feel angry. Everything in my life has changed so much since Bob went to be with You and I don’t know who this person is that I am becoming. In fact, this person frightens me. Help me in this journey and transition because I cannot do this on my own. What About My Wedding Rings? It wasn’t until 1 1/2 years after the loss of my husband that I finally had peace about taking off my wedding rings and eternity ring. After almost 37 years, they were so much a part of me and the disconnect was very difficult. For a long time I been thinking about what to do with them and came up with the idea to take all 3 rings along with my Mother’s ring to the jeweler. I asked him if he could take the diamonds and birthstones out, melt all 4 of the rings together, and create 1 special ring that tells our love story using the diamonds and all 4 birthstones. He didn’t even hesitate to say “Yes”. On a very small corner of a piece of paper, I had drawn up a design that would work with the number and size of diamonds and birthstones that were set in all of my rings. I am not an artist or a design person, but I decided on a whim to just show it to the jeweler to get his reaction. His immediate response was, “I couldn’t have drawn up a better design myself”. I was so astounded because I immediately knew that God had given me that ring design and this was the ring that I was to have to put back on my left ring finger and wear as a remembrance of the love, marriage and family that I was so blessed to have with Bob. Because the design is so unusual, it is noticed many times and has become a way for me to share my story. I call it my “Love Story” ring. How truly blessed I was to have this imperfect, yet, “perfect man for me” in my life for as long as I did. Two months after Adrian Rogers retired from fifty-four years in the pastorate he received a diagnosis of colon cancer. Six months later he went to meet the Lord. 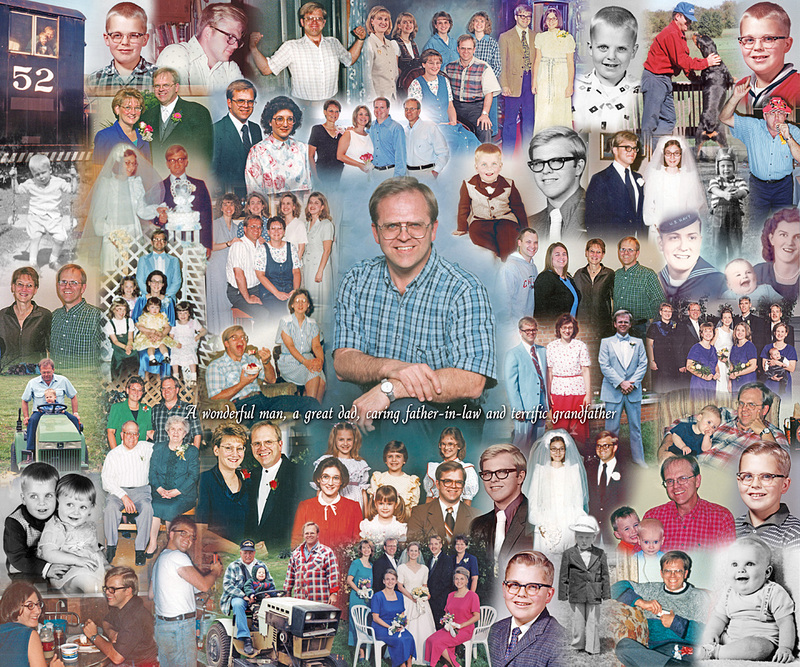 Joyce had loved him for more than sixty years and had been a pastor’s wife since she was eighteen years old. To have his life end so suddenly threw her life into a place she had never dreamed that she would be. 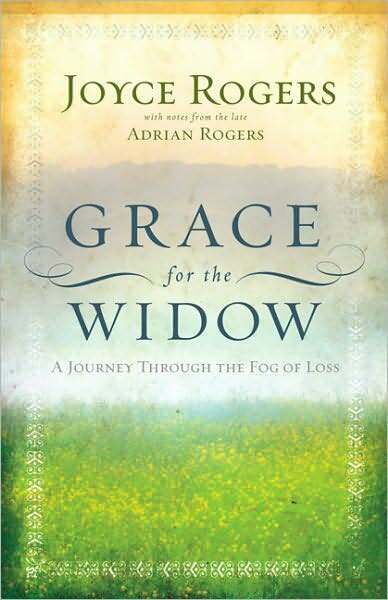 The purpose of Joyce’s book is to introduce widows to her guide, the Lord Jesus Christ. Before Adrian’s death, Joyce had been wonderful at multi-tasking. But she found that after his death she wished that someone would just tell her what to do. She encourages the widow until the fog lifts to do simple things such as getting out of bed, taking a bath, getting dressed, spending time alone with God, eating breakfast, cleaning up the house, walking the dog, paying the bills. Do not try to think about what the future holds. Joyce introduces the reader to her new husband – Jehovah Sabaoth (the Lord of hosts) from Isaiah 54:5 which says that because you are a widow, “Your Maker is your husband, the LORD of hosts is His name.” She shares that He fights the widow’s battles. He is her protector and her strong redeemer. She writes one whole chapter on healthy habits and what an adjustment it is to cook for just one. Hints for healthy eating are given as well as breakfast, lunch, and supper ideas along with some healthy desserts if you must have something sweet. Joyce also talks about sleep, exercise and maintaining a positive attitude. Widows are encouraged by Joyce to reach out to others in their grief and problems because God doesn’t want them to waste their sorrows. There are two appendixes at the end of Joyce’s book. The first one is a list of some of the promises that she found in the Bible after the death of her Adrian. The second appendix is her study and understanding of the names of God. We thank you, Joyce, for sharing with us what you learned through those first years of “widow fog”. Psalm 91 was the final chapter of the Bible that my husband Bob memorized in the last months of his life. Verse 4 is one that I like to mull on and think about. There is not a day that goes by that I don’t wonder what heaven is like. What was it like for my husband that morning when his heart stopped? What did he see? Whom did he see? How did it feel? What is he doing today? I cannot even begin to imagine it much less comprehend it all. 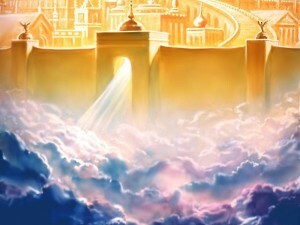 Without heaven for look forward to, my life would have no purpose. Perhaps they are not stars, but rather openings to heaven where the love of our lost ones pours through and shines down upon us to let us know they are happy. The year 1998 was the one where Kristina Pappas began struggling with the question “What does it mean to trust God – really?” for that is the year she became a widow left with 2 teenagers at home. In her desperation she looked for refuge in the Bible and stumbled on the promise that God is the husband to the widow (Isaiah 54:4) and father to the fatherless (Psalm 68:5). Yet, she did not know what that meant. She needed steps of practical application because God’s Word was her only hope. “You are where you are by God’s permission, and even though He had the ability to prevent this from happening to you, He didn’t. Our experiences will always remain with us to some degree because we are defined by them and our identity will rise out of them as the Potter works at the clay. Being yoked in a marital relationship creates a faith oneness, similar in some ways to the oneness we have in Christ. A certain confident faith develops out of that relationship. When we lose our husband, an important element of our faith confidence is also lost. It is not lost altogether, but we have to be aware of that loss as we, as single believers, begin to rediscover and redefine our faith” says Kristine. In her book, Kristine talks about bringing balance to our perceptions, bringing balance to our roles, the stages of recovery, stage-stuck, balancing our responses to others, co-dependency, boundaries, and establishing our identity in Christ and several more topics. Her writing is filled with scripture references that are written out so that the reader does not have to look them up. This is especially helpful for a widow when having to do another thing is so difficult. Kristine discusses how many widows have no one to talk to after their husbands are gone and how we need to unload verbally, but must be sensitive about how and to whom we unload. She reminds us that there is one whom we can “shout at the top of our lungs in frustration to or laugh and cry with” and that is God. He can handle whatever we need to say and has the resources to help us with our problems. At the end of each chapter is a set of questions designed to help you better understand what you have read. This can also be used as a tool with other widows together. 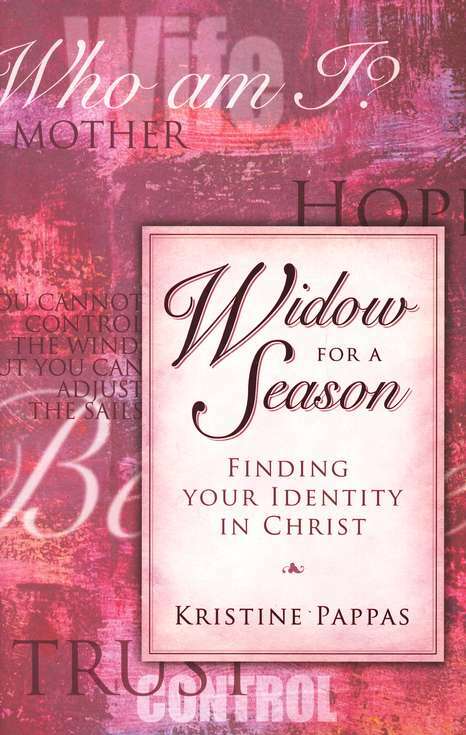 There is an even more extensive study available at www.widowtowidow.net along with other resources for encouragement. Additional study sheets can be found on this website as well and can be printed for personal or group study. Kristine, thank you for giving us more things to examine in our lives in order to help us in time to find our new identity in Christ.